My name is Whitney Wilke and I am the head coach of the MHS Volleyball program. 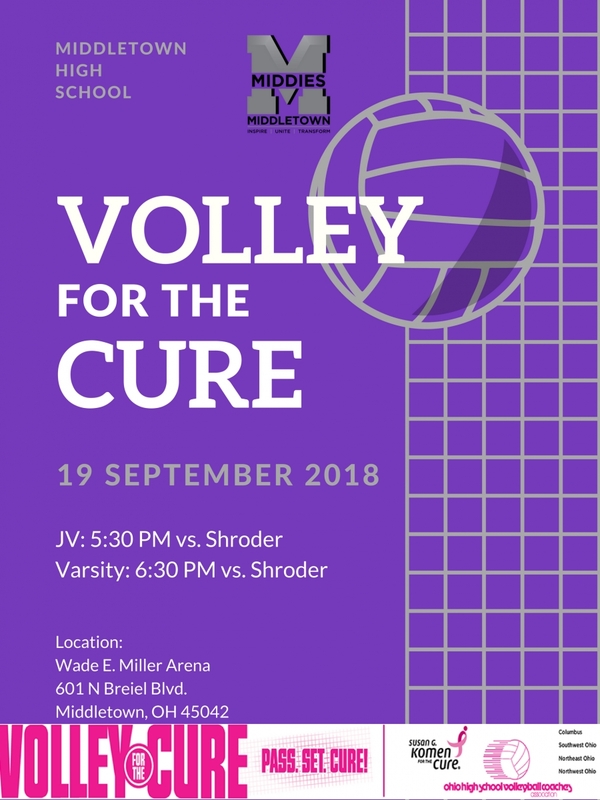 I wanted to invite each of you and your families to our Volley for a Cure Event on September 19 in the Miller Arena. Our athletic boosters will be holding a tailgate party from 4-5:00 PM with games starting at 5:30-7:30 PM. This is a wonderful event where we are able to give back to the community and support the Susan G Komen for a Cure foundation. We will have split the pot, raffles, bake sale, and much more to get the crowd involved in this spectacular event. We are bringing in multiple student groups such as Pep Band, Cheerleaders, Art Students, and Choir Department! This is near and dear to my heart as my mother passed from breast cancer when I was 10 years old, your support means a lot to the team, and to me personally.